A stylish case suitable for both Type 1 and Type 2 diabetics. 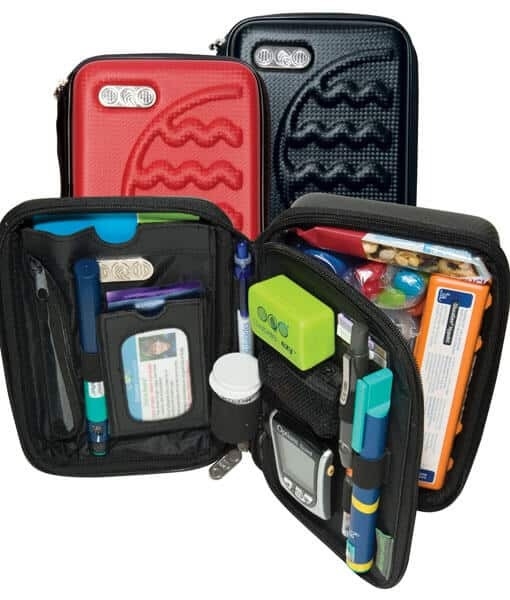 The outer case is made of a tough, easy to clean material with a lanyard loop handle, while Velcro and elastic features are used to hold equipment into place. 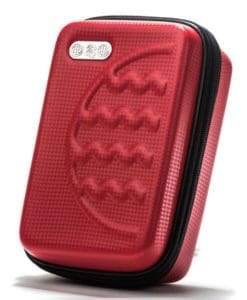 Features two compartments to contain all your diabetes needs. 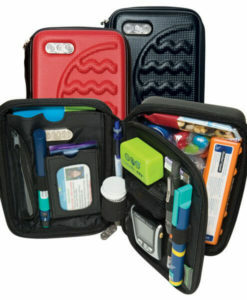 The top compartment carries a BG Meter, 2 x pen needles, foil or canister test strips, a lancet device, insulin vials, test-wipes, a Record Book, a Card Sized Personalised Management Plan, a biro, a needle and lancet tips, as well as a rubbish bin. The compartment underneath can carry Insulin Pump Consumables, a GlucaGen Hypokit, jelly beans or food for hypo treatments, spare batteries, Test-wipes, test strips, other medications or even money and credit cards. 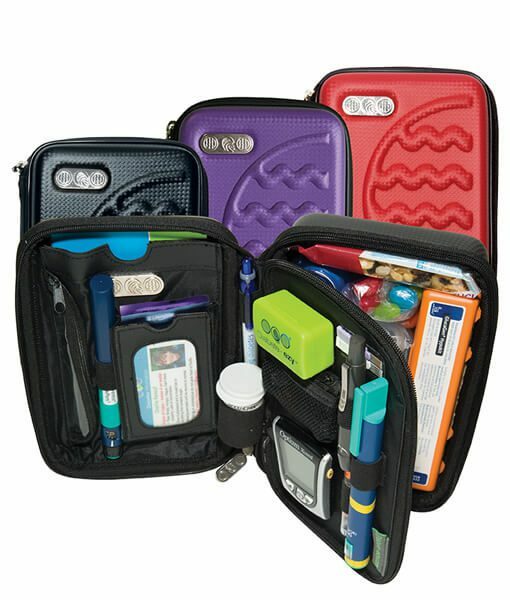 The case suits most blood glucose meters, including the Optium, Xceed, FreeStyle mini, Accu-Chek Perfoma, Integra, Go, Senso Card, CareSens, TrueTrack.Finally, everything can truly be stored in the one place. The Diabete-ezy, Multi-fit case is fitted with YKK zips. These zips are known for being the strongest in the world. 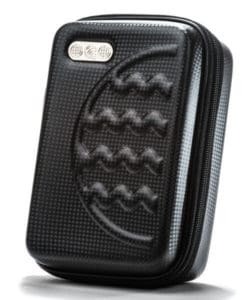 Although the Multi-fit cases have these zips and are designed to house many different items, over packing the case with bulky items can shorten the lifespan of the zips. 22.3cm x 15.6cm x 8.5cm.